It’s not hard to replace cane sugar in cooking and baking, so here’s how. Remember, all syrups have a similar effect in your body as regular cane or beet sugar, though they may contain vitamins and minerals as well. Our favourites include Barley Malt & Rice Syrup (maltose-rich), Molasses (lots of vitamins & minerals) and Date Syrup (just pureed whole dates). Start experimenting! 3. Reduce oven temperatures by 10°C & lengthen cooking time. See details of our range below, amounts are equivalent to 200g sugar. • Agave Syrup (150g): Mild flavour, from agave cactus. Dissolves in cold liquids. High levels of processing and fructose. • Apple Concentrate (150g): Lovely apple taste in cakes & puds. • Barley Malt Syrup (250g): Strong taste, contains gluten. May prefer to use in combination. No fructose. • Dates, Ground (200g). If your food processor can take it, these resemble brown sugar in texture and taste. • Date Syrup (150g): Simply pureed whole dates. Also known as Rub, used widely in North Africa. Lovely in cakes. • Maple Syrup (150g): 40 gallons of sap make 1 gallon of delicious syrup. Drizzle on top to make most of flavour without the cost. 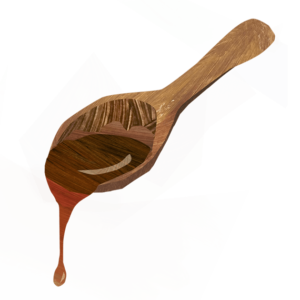 • Molasses (250g): White sugar’s residue. Strong smoky flavour, and moist, chewy results. Rich in calcium, iron & potassium. • Rice Syrup (250g): Mild flavour, great for crunchy biscuits, and one of the easiest sugar replacers. No fructose, some minerals. • Sweet Freedom (150g): Choose light or dark depending on your taste. Specially designed, low fructose sugar alternative.